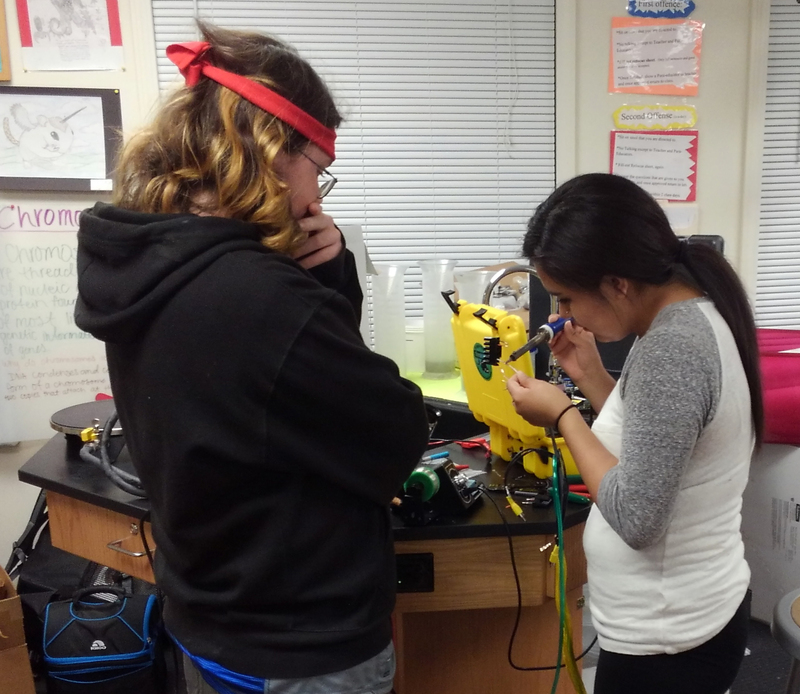 Ruby and Chenoa working on the “Chromosome Claw” for the ROV. 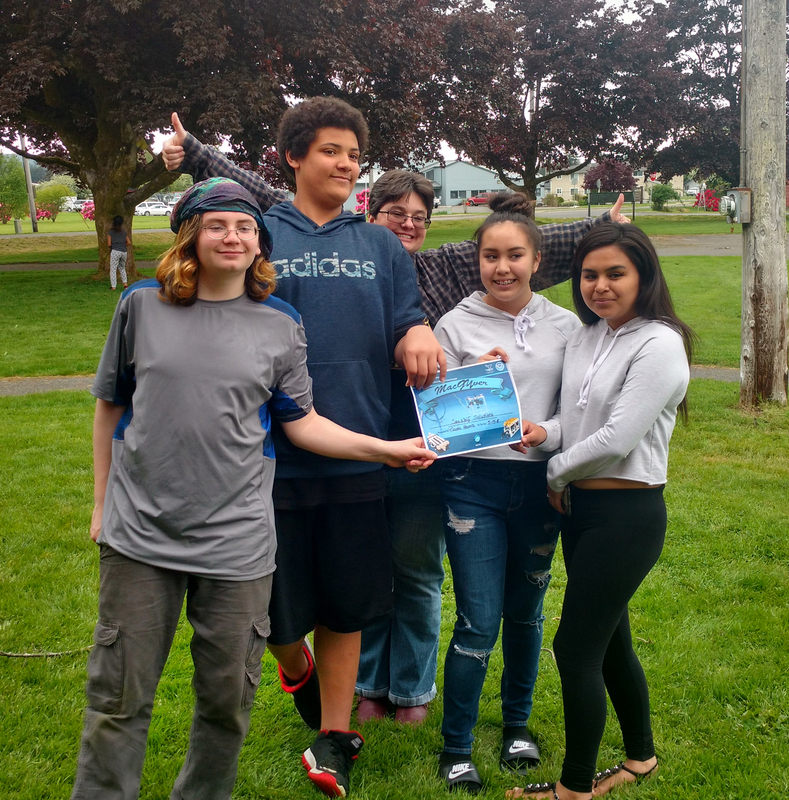 This year the SeaWolf Solutions team from QTS competed in the regional ROV(Remote Operated Vehicle) contest in Forks at the Navigator level and won the MacGyver Award. At the Navigator level, the pilot can not see the vehicle directly, and has to use the video camera on the submerged robot to see what they are doing. They are excited to take this competition on again and are very glad that Forks hosts one. Team is made up of Chenoa Black the CEO, Kevin Ryan, Ruby Sheriff, and Gabe Johnson. 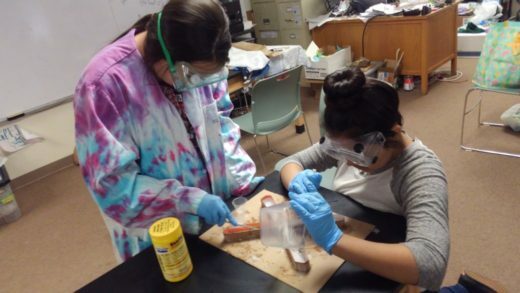 Alice Ryan was the team mentor. Their team ranges from grades 7-10.